Many houses are equipped with boiler systems to warm the house in winter. 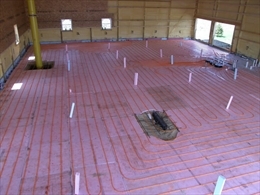 A boiler would usually produce hot water which will be sent to rooms through pipes embedded under the floor. The hot water circulating through the tubes would emit heat and which would rise up and make the rooms hot. What should such homes do to add a cooling system in the house? Remember they do not have ducts to get a central cooling system installed. •	Having window unit fitted in various rooms of the house. Window units have several downsides. They are noisy and bulky. Many users also complain about their ineffectiveness in extracting room heat and replacing it with cool air. •	The second option is to add a small tube duct work. This runs through your attic or basement and gets connected to the evaporator coil. The evaporator is connected to the outdoor condenser unit. It is a foolproof system. But installing it quite costly and may not conform to everyone’s budget. There may not be enough space for it as well. •	The last option is to go for ductless mini-splits. These have an outdoor unit and indoor unit which are connected by a conduit that passes through a three-inch hole in the wall. If you require cooling for a couple of rooms you can get air handlers fitted in multiple rooms. All of these will connect to an external condenser unit. These are noiseless units. The air handler looks quite sleek mounted on the wall or ceiling or standing on the floor. The best part of mini-splits is they can function as heat pumps too. They can reverse their cycle to provide heating as well. So you can make a few days of delay to start up your boiler system as winter dawns in. These really perfect to warm your house when temperature is moderate, say between fall and winter and conversely during winter and spring.